In 2017, Google unveiled ARCore, a platform for building augmented reality (AR) experiences on Android devices. At that time, ARCore required developers to know either Unity or 3D graphics with OpenGL to create AR applications. 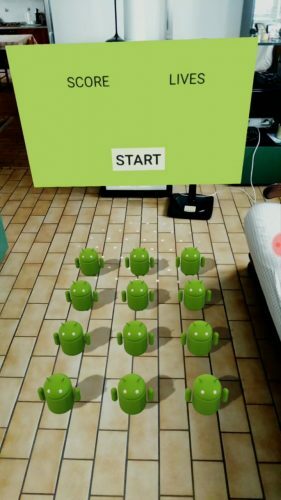 You can see an example of this in our Getting Started With ARCore With Kotlin tutorial. Also at that time, the number of devices supported for ARcore was much smaller. Since then, the support for devices has grown, but developers still needed to grasp knowledge about OpenGL or Unity for developing AR applications. At Google I/O 2018, Google announced Sceneform, a sort of “layer” on ARCore, which enables developers to create AR applications using knowledge of only the Android SDK and the Kotlin/Java language. In this tutorial, you’re going to create an AR-based game, WhacARDroid, and, along the way, you’ll learn to develop AR apps using Sceneform. Prerequisite: There’s a restricted number of devices capable of running ARCore. The complete list is available here. To run an app that uses ARCore on a real device, you need to check if ARCore is supported. If it is, install the ARCore app from the Google Play Store. This app has no UI; it only contains support for what ARCore-based apps need to run. – When creating it, you must choose a Pixel or Pixel 2 hardware profile. – You must use Oreo: API Level 27: x86: Android 8.1 (Google APIs) system image. – you must set the back camera to VirtualScene (Verify Configuration ▸ Show Advanced Settings ▸ Camera Back). Once you’ve such an emulator set up, start the emulator and open its settings. Go to the Advanced tab and set OpenGL ES API level to Renderer maximum (up to OpenGL ES 3.1), then restart the emulator. As you can see, the above emulator is using the version 3.1 of OpenGL, so it’ll be able to use Sceneform. The Sceneform plugin is an Android Studio plugin used to import 3D models, convert them into Sceneform format, and preview them in Android Studio. Sceneform can handle OBJ, FBX, and glTF formats for 3D assets. 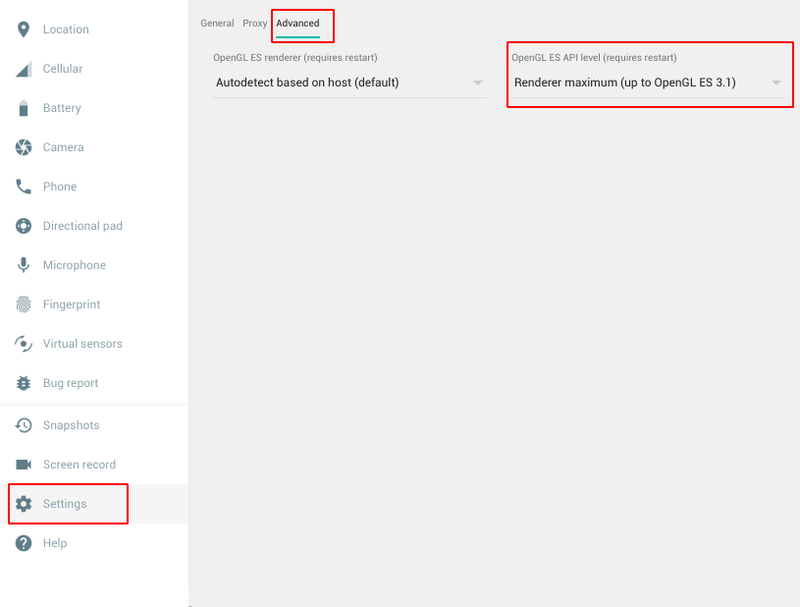 To get the plugin, open Android Studio, go to the Plugins settings (Windows/Linux: File ▸ Settings ▸ Plugins ▸ Browse Repositories, macOS: Android Studio ▸ Preferences ▸ Plugins), browse the plugin “Google Sceneform Tools” (as of now it’s beta) and install it. Then restart Android Studio. For the sample project, you’re going to use a model provided by Google in its Sceneform samples. Use the Download materials button at the top or bottom of this tutorial to download the starter project. 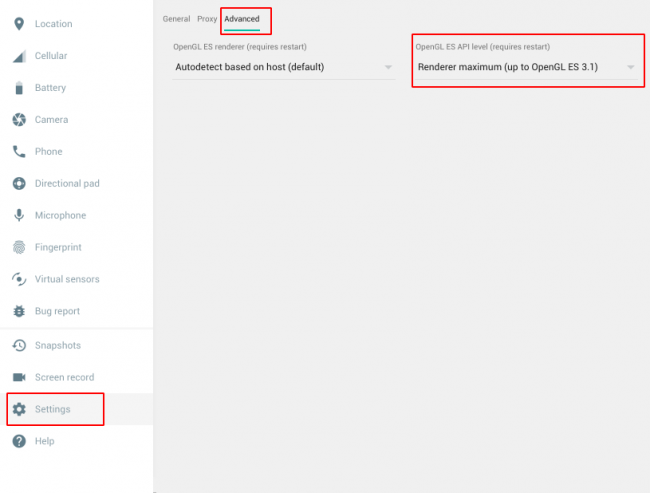 Open the starter project in Android Studio 3.1.3 or later. You can click the Run button and the starter project should run on your device or emulator. You’ll first be prompted to provide camera permissions and, upon approving, you’ll see an image prompting you to move your phone around. This is needed to track the surface. Aiming the device at a flat surface and moving it a little bit, you should see a few points highlighted. When you see them, it means ARCore has detected the plane. ARCore does all these operations by itself, so you don’t need to worry about doing anything more. Note: Light-colored planes may have trouble being detected. If you see some white dots on your plane, congratulations — your app is working! Sceneform provides three simple and similar ways to create a 3D object: from scratch, from a model or from an Android XML file. Building the model is asynchronous — the method returns a CompletableFuture — because instantiating a renderable is a heavy operation. For your game, you need a droid to hit, so you’ll create one now. Here, you’ve created a new ModelRenderable using R.raw.andy — an .sfb 3D model – as source; with the thenAccept method, you can get this model and assign its value to your property droidRenderable. Since you’re not 100% sure that everything will work as expected, you can add an exceptionally block that will be called when something goes wrong. What would a game be without a scoreboard? You’re going to create one using an XML-based model, just like any regular Android view. Similarly to what you’ve done for the previous renderable, you have provided a source for the renderable but are using setView this time instead of setSource. You’re also telling the renderable that it has the capability of receiving shadows casted by other objects with isShadowReceiver = true. If you check what onStartTapped does in ScoreboardView, you see it’s just using an onClickListener to intercept a click event, since this 3D object works exactly like a regular view. As you can easily see, it’s possible to build different types of light with different colors, intensity and other parameters. You can read more about this here. Shadow-casting property of light to true. This light will blink when the player fails to hit a droid, so the intensity is equal to zero for now. Every object that is displayed on the plane is attached to a Node. When an OnTapArPlaneListener is applied on the plane and a user taps on it, a HitResult object is created. Through this object, you can create an AnchorNode. On an anchor node, you can then attach your own node hosting your renderable. In this way, you can use a custom node that can be moved, rotated or scaled. For WhacARDroid, you’ll need a node capable of moving up and down, so you’re going to create the class TranslatableNode. You’ll add the animation code later; for now, a helper method for adding some offset for translation is enough. Make sure that any imports you pull in for the new class are from com.google.ar.sceneform sub-packages. scene.setOnPeekTouchListener(): This listener cannot consume the event. onTouchEvent() of the first node intercepted on the plane. If it does not have a listener, or if its listener return false, the event is not consumed. onTouchEvent() of every parent node: Everything is handled like the previous node. scene.onTouchListener(): This handles the touch action when the last parent is reached, but it doesn’t consume the event. When the player taps the plane for the first time, Sceneform will instantiate the whole game, so you’ll set an onTouchListener on the plane. When the player taps on the Start button, the game will begin; the click listener is handled by the onClickListener of ScoreBoardView. If the player hits a droid, he or she will gain 100 points, so you’ll intercept the onTouchEvent on the droid. If the player misses the droid, he or she will lose a life and 50 points; you’ll need to detect a tap on the plane so you can reuse the existing listener. // TODO: You hit a droid! Handle a failed hit on a droid, and return. Alert the user if they’ve picked a bad plane for the game, and return. Return if not all renderable objects have been initialized. Set up droids on the plane. Add the scoreboard view to the plane. Add a light to the game. With that long snippet added, you can now try to run the app. If everything is OK, you should be able to spawn the game by touching a plane. Nothing will happen right now, however; you’ll need to add some logic. There are two ways to create an animation: animate an existing node or create a custom node capable of complex animations. Animating an existing node can be achieved using an ObjectAnimator and is as easy as setting a start and an end value for a property. ObjectAnimator is an Android class, and it’s not specific to ARCore or Sceneform. If you don’t know how to use it, we have you covered! You can read more about it in the Android Animation Tutorial with Kotlin. A target (the light object). A property (the intensity of the light). The start value of the property. The end value of the same property. 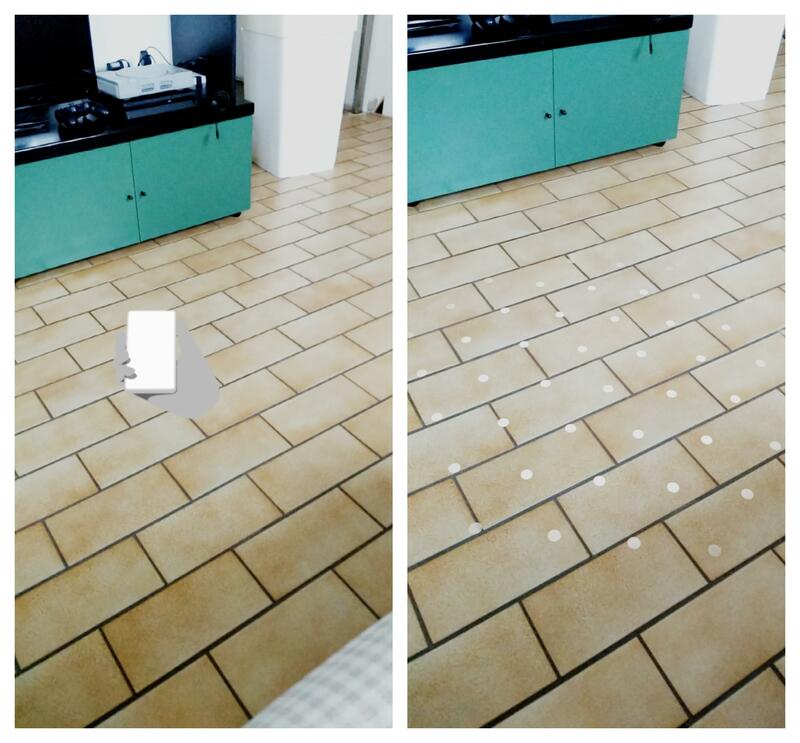 A property to track the position of the droid. A method to pull the droid up. An ObjectAnimator to animate the droid. A private method to perform the up animation. Calling the start() method on the animator is enough to fire it, and the cancel() method will stop the animation. Setting auto cancel to true will stop an ongoing animation when a new one — with the same target and property — is started. Try to write the pullDown method and associated code yourself. If you’re having trouble, open the spoiler below for the complete code. Custom animated nodes are a little bit harder to use than using ObjectAnimator as you have done above, but they are more powerful. To use custom animation with a node, you need to extend the Node class and then override the onUpdate method. WhacARDroid doesn’t need anything that customizable, so if you want to check out an example you can see Google’s Sceneform sample. You’re nearly done! The last part covers starting the real game. Next, create the pullUpRunnable Runnable property for MainActivity. Check if the game is completed. Pull up a random droid renderable from the grid. Pull the same droid down after a random delay. If player has at least one life, start itself over again after a random delay. Next, you need to handle what happens if the player hits the droid. If the droid is down, it counts as a missed hit, so you remove 50 points and a life from the player. If it’s up, add 100 points to the player. Sceneform — together with ARCore — has so many uses that it’s impossible to cover them all with a single tutorial. You may want to check its API Reference if you need more specific information. For a couple of examples, there’s also an official repository on GitHub: Official sample repository. If something is not completely clear, you can also follow the official quickstart provided by Google itself. Happy augmented reality coding! Please us know if you have any questions or comments in the discussion forum below.